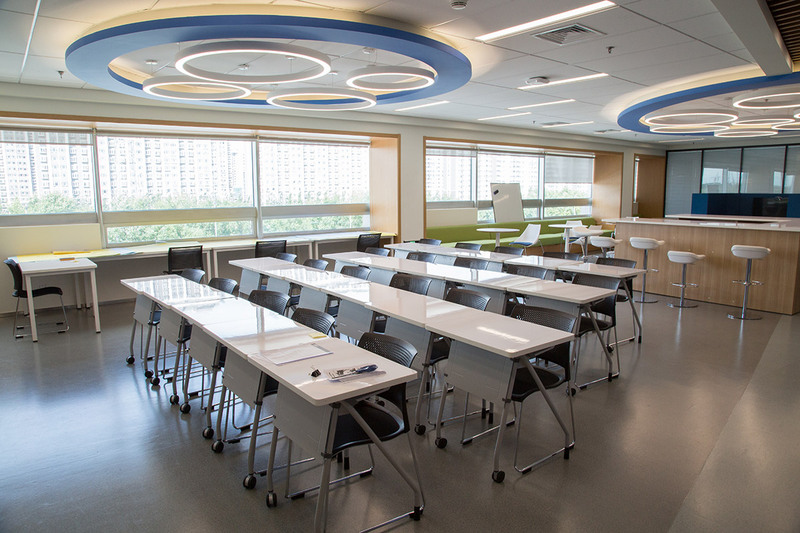 This bright new corner of the International School of Beijing (ISB) is at the heart of work to offer world-leading interdisciplinary education in the High School. 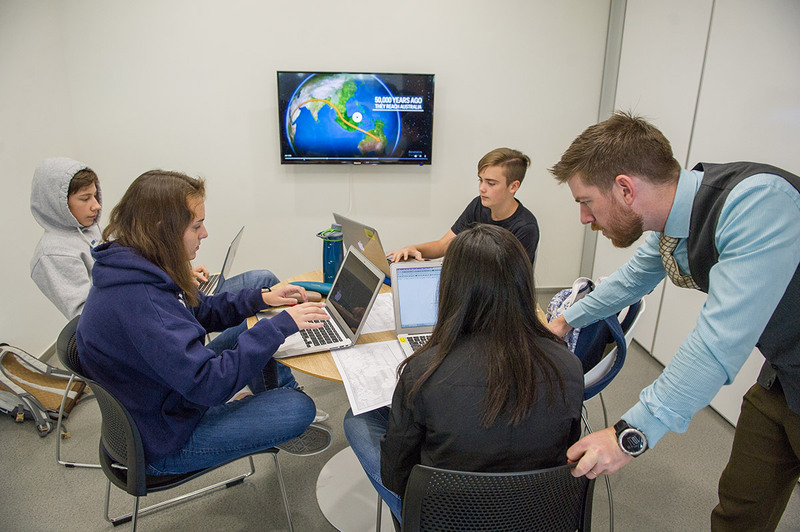 The High School Flex Space opened at the start of the 2018-2019 academic year to help facilitate integrated learning. 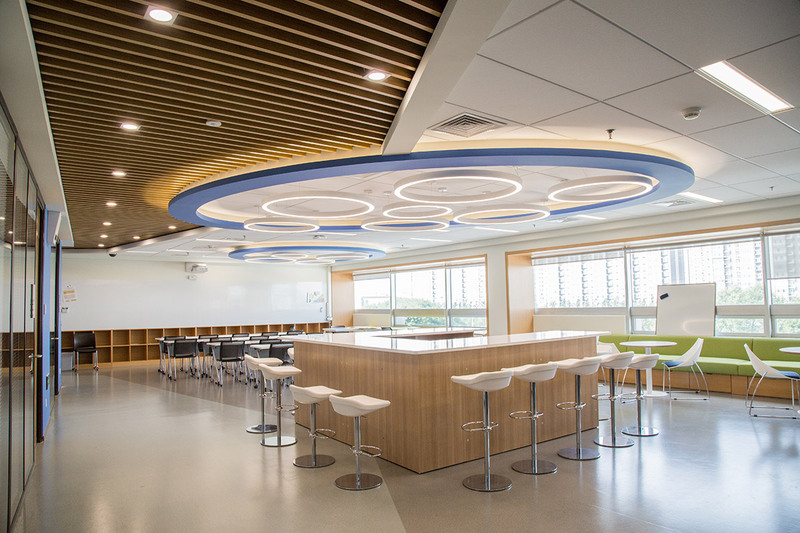 With movable walls, versatile seating, and an adjacent design lab full of tools and laser cutters, it is a large, versatile space perfect for hosting design challenges and group activities that wouldn't be possible in conventional classrooms. Mainly in use by grade 9, the new facility comes as the High School curriculum is being refined to offer the best mix of traditional academic and project-based learning. Last school year, two optional High School interdisciplinary courses were developed based on the Middle School's Futures Academy (FA) model, designed to inspire creativity and problem-solving skills. While Science and Engineering offered grade 9 students immersion in the practical side of these related disciplines, Action Research involved a service learning component in Cambodia for older students. It is the former course that the Flex Space was built for. A member of staff has recently been appointed to program activities in the space. The plan now is to consult with a visiting expert in January on interdisciplinary education and ensure that all grade 9 students are offered an interdisciplinary experience. "The three tenets we took out of FA to apply for all grade 9s are interdisciplinary, self-directed, project-based learning. It's proven that interdisciplinary work is more profound because students can see the links between what they're learning. When students are choosing their path and deciding what they study, they are more engaged. And when we have more flexible space for projects, we start to see those things take action," said High School Principal David Munro. 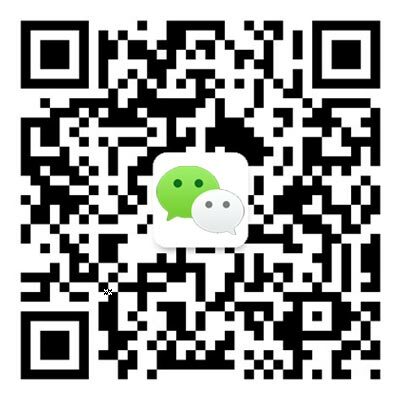 "The idea is that we are making the best parts of FA available to everyone. 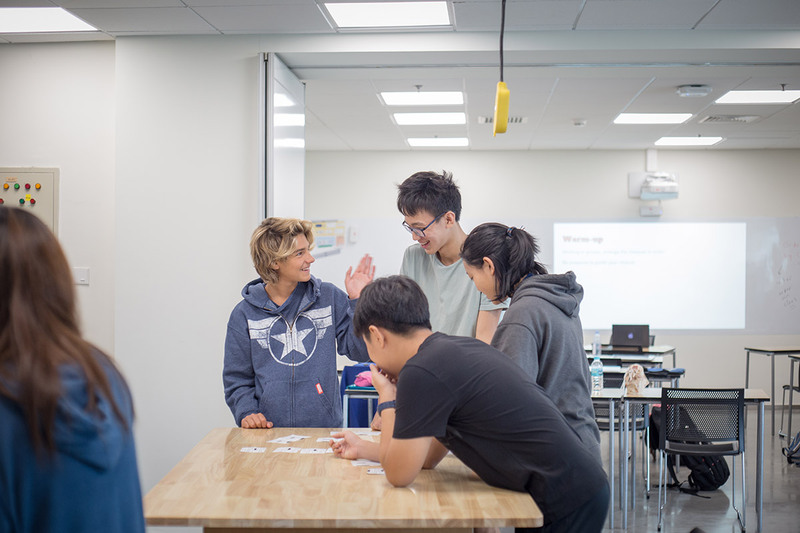 The Flex Space is one part, but eventually we want to see the teachers collaborating and working together and making connections between everything they're doing in ninth grade." To learn more about our High School, click here.